Today's Creative Blog: Get Your Craft On & more! Get Your Craft On & more! Get YOUR Craft on! Grab this image for your post! I hope you’ve had your coffee today because I’ll need your full attention. Yes, it’s still Get Your Craft On today. It happens EVERY Tuesday. Rain or shine. You can’t hold a creative girl down. But I have a couple of other surprises. I’m helping Blog Frog launch their new site and community design. I’d love for you to join my Community page. It’s a forum where we can talk about anything and everything, but I also plan to use it as an extended place to talk about each days post. Click on the Blog Frog Image to join my Community. 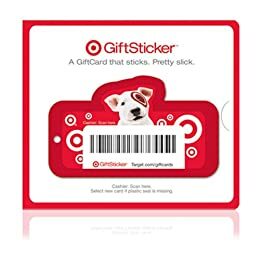 Join my Community page and be entered to win a $25 Target Card. Oh we love Target. I will also be giving away 20 FREE Premium Memberships for Blog Frog! I’ll be posting it on blog frog. Comments left here will not count. I used the Easter holiday to get some crafting done on one of those projects that doesn't seem to want to get finished. So I am glad to be linking up again. oops, my link should have been "sock exchange" not "sick exchange." Sorry! Glad to be linking up once again anyway! As always you throw a great party! Thanks for hosting! Love seeing all the great ideas! Thanks for giving us undiscovered bloggers a chance to share and also the chance to find new friends. Happy Tuesday and thanks for hosting this week! Thanks for hosting today. Lots of great ideas! Thanks so much for taking the time to host us each week! Thanks so very much for hosting another terrific party! Thanks for hosting another amazing party again this week. Thanks for hosting! Always tons of inspiring projects here - can't wait to check them out! Hope you are having a great week! Thanks for hosting the party and I am a member of your community. & get inspired by something for your family/home. Great Party, i love learning about sewing this week. Especially when i don't have the time and patience. I might motivate me LOL. Great party! Thanks for hosting it for us!! Sorry - I entered my first link in wrong. I am lame! Thanks for an awesome party!!! Thank you for the huge party! Have a nice day!